Check out the featured Review on Reef Builders. A special brew of Doc’s Eco Eggs in a rich brine solution; no additives or preservatives. 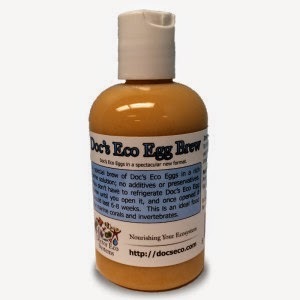 You don’t have to refrigerate Doc’s Eco Egg Brew until you open it, and once opened it should last 6-8 weeks. This is an ideal food for marine corals and invertebrates.